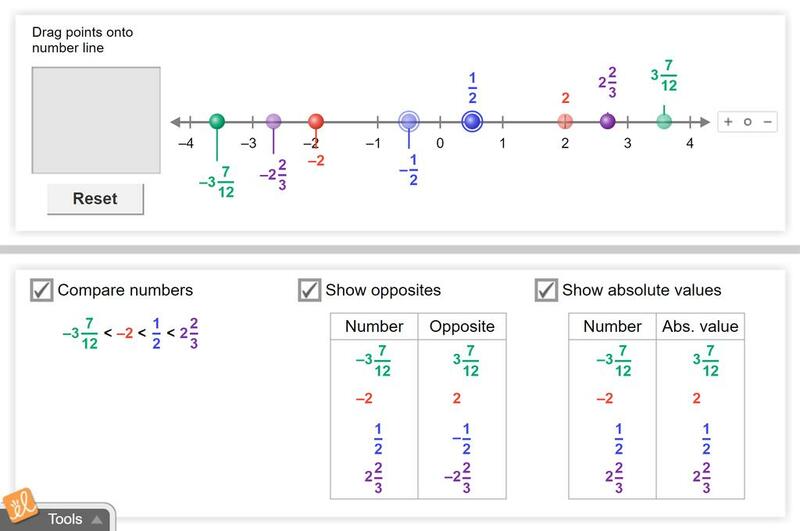 Use a number line to compare rational numbers. Change values by dragging points on the number line. Compare the opposites and absolute values of the numbers.